Teachers Get a Jump on Your Summer Reading! 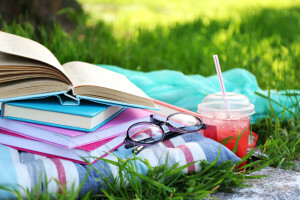 10 Suggestions For Your Summer Reading: Teachers get ready to grab your e-readers, library card, or plan to visit your favorite bookstore because we have some suggestions for your summer reading list. Whether its memoirs, fiction, self-improvement or a highly anticipated novel by a famous and favorite author, teachers are sure to find a few of these newest books worthy companions on your summer journeys. 3) Better Than Before by Gretchen Rubin: How do humans change? Author of the The Happiness Project delves into habits and how to go about changing them. 4) The Innovators by Walt Isaacson: Who crafted the technology that has brought us into the age we’re now accustomed to? Water Isaacson chronicles the history of the computer, the Internet, and technology from the 1840s and continuing, explaining some of the creativity behind the innovations. 5) In The Unlikely Event by Judy Blume: The story tells of girl, her mother and mystery behind her upbringing, while a community faces modern-day tragedies. It is Blume’s first novel for adults in 17 years. 6) The Daemon Knows: Literary Greatness and the American Sublime by Harold Bloom: Bloom offers oracular criticism as he discusses several literary authors and their works. 7) Another Person’s Poison: A History of Food Allergy by Matthew Smith: Smith discusses the history of food allergies and how we must contemplate the food in our schools, communities, illnesses and at times, the deadly consequences of when we fail to do so. 8) Station 11 by Emily St. John Mandel: A hypothetical tale about losing the earth, mourning and what we can draw from that experience. 9) Hope: A Memoir of Survival by Amanda Berry, Gina Dejesus, Mary Jordan, and Kevin Sullivan: They share their stories of survival after being held captive by abductor Ariel Castro. 10) A Lucky Life Interrupted: A Memoir of Hope by Tom Brokaw: The author of six bestsellers and award winner in broadcast journalism, including two DuPonts, three Peabody Awards, several Emmys, and the 2014 winner of the Presidential Medal of Freedom, shares his story on his battle with cancer, his life and how he faces mortality. Don’t see a book that interests you? Here are a few sites that may help you in your search. Even if you are a teacher with a full library, these resources may engage you and friends in the process of finding new reads, discussing them, and tallying up your bookworm titles, making you feel tidy, focused and accomplished. Find many of your friends or contacts at Goodreads. You can set a reading goal and share feedback or recommendations, searching all of the genres with ease on the site. Head to The New York Times’ best sellers list, follow recommendations from The National Book Foundation, or catch the highlights from #TheBookCon in New York City or on find them on Facebook. This years event has passed, but save the date for next year as the conference heads to Chicago on May of 2016, featuring various personalities, speakers, authors, signings and of course books and book lovers. Teachers, what’s on your reading list this summer? 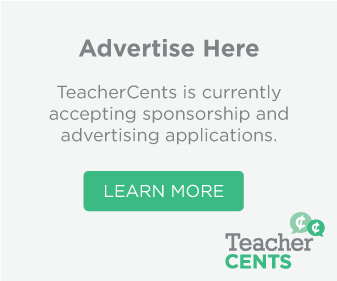 Tell us at TeacherCents. Sign up below to receive new posts via email! 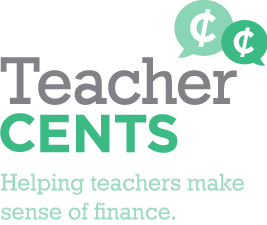 TeacherCents is a community of K-12 educators sharing best practices and ideas about financial matters both personal and in the classroom. 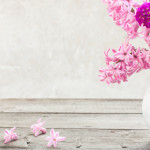 We hope that you find these resources useful and welcome your participation through blog comments, submitted articles and sponsorship opportunities. Teachers You Have Been Granted 3 Wishes! Copyright © 2019 · TeacherCents · All rights reserved.